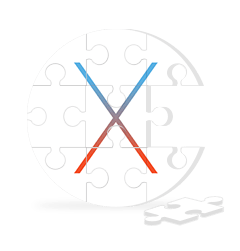 I’ve written a few tech tip articles for Mac OS X, but hopefully you’ll find this list of common Mac OS X problems and solutions helpful. 1. Open default Mail app on your El Capitan, then from the “Mail” menu and go to “Preferences” option. 2. Go to the “Accounts”, and select the email account that has problems, then click on the “Advanced” tab. 3. Find the box named “Automatically detect and maintain account settings”. 4. Now check or uncheck it – then re-launch Mail app. 1. Make sure that you have a good connection from your Mac to the wall outlet by confirming the power cord. 2. If the wall outlet is working and you still have no power, try another power cord or adapter. If it works you may need a replacement cord or adapter. 3. Disconnect all accessories that are plugged in to the computer. 4. If you recently installed any of the solid drive, hard drive, make sure that they are installed correctly and are compatible with your computer. If it is possible, reinstall the original memory or drive into the computer to find out if the behavior persists afterwards. 5. If your mac still won’t start up after trying each of these steps, you may need to visit an Apple Store. 1. Go to the Apple icon, and chose System Preferences. 2. Check Security & Privacy settings in General tab under “Allow apps downloaded from”. 3. Check the box beside the option of “Mac App store and identified developers” or “Anywhere”. 1. Launch System Preferences App from Launchpad > Select Network on System Preferences Window. 2. Click “+”button to add new network > Select the interface (VPN) > Select VPN type (PPTP for mine) > Name your new network > Click Create. 3.Fill in the information about your VPN: Keep Configuration stay at Default state > Input the address of your VPN server > Input the Account number or name of your VPN > Set Encryption to Automatic (128 bit ot 40 bit) > Click Authentication Settings to enter User Authentication page and then input your VPN’s password > Click OK to confirm it. 4.Click Advanced button > Check the box next “Send all traffic over VPN connection” > Click OK.
5. Click Apply > Connect. If you’re having issues connecting to wifi, try some of the steps below. You may want to perform a Time Machine Backup before making these changes. 1. Go to Finder > Click on the File menu > Select New Finder Window > Click on your Mac’s icon. 2. Open Macintosh HD > Open Library > Click Preferences > Find the file called “com.apple.Bluetooth.plist”. 3. Move it to your desktop > Remove it from the Preferences folder by dragging it into the Trash. The Mac will tell you that Finder wants to make changes. Type your password to allow this. 3. Backup the folder “SystemConfiguration” by copying it to your Desktop. 4. Delete the folder as it sits in /Library/Preferences. 1. Try factory resetting (via routers administration panel) or turning your router on and off again. [2.5Ghz or 5Ghz], or from 5Ghz to [2.4Ghz or 2.5Ghz]. In general, set the Wi-Fi frequency to one other than the one it is currently set to. Setting one type of Wi-Fi mode, e.g. “Only B”, “Only G”, “Only N” instead of “B/G”, “B.N”. Changing Wi-Fi SSID (name), and/or Wi-Fi key and/or Wi-Fi security. 1. Reboot into the Recovery Drive by choosing the “Apple”menu and Restart, hold down the “command” + “R” keys on the keyboard in boot and hold the keys until you see the Apple icon. When the machine boots eventually you will see the window of OS X Utilities. 2. Go to the Utilities menu and select Terminal. 3. At the prompt type “resetpassword”, then hit enter. If you can’t send email, the first thing you should do is to verify that you have your email client configured properly. 1. Open Mail > Choose Preferences from the Mail menu. 2. Click Accounts in the Preferences window. 3. Select the account that won’t send emails. 4. Click the Account Information pane > Ensure that the “Outgoing Mail Server” pop-up menu is not set to “None”. If it is, select your server from the “Outgoing Mail Server” pop-up menu if it appears. If your Mail upgrade is failed and the index is damaged you may need to move your Mail inbox to the desktop and try importing it. 1. Go to Finder > Hold Option and click on Go > Choose Library. 2. Open Mail > MailBoxes > copy the filename.mbox to your desktop. 3. Open Mail, it should start and then you can Import and select Apple Mail. 1. Open Mail > Click Continue when the welcome message pops up. 2. Preferences and in the new window that pops up > Click on Accounts. 3. Deselect the “Enable this account” check box for every account that appears in the Account Information tab. 4. Close Mail and open it again. Repeat the same process to enable all of the accounts you set up with Mail. 1. On your Mac, click “Applications” and then select “Utilities”. 2. Open the “Audio MIDI Setup” application > Click on the “Audio Devices” tab. 3. Ensure that “Built-in Output” is selected next to the field labeled “Properties For”. 4. Navigate to the “Audio Output” section located in the bottom-right section of the window. 5. Select “44100.0 Hz” from the drop-down menu next to “Format”. 6. Exit from “Audio MIDI Setup. You will now be able to hear sound played correctly when using third-party audio apps. 1. Press Command-E to eject. 2. Restart your Mac and hold down the left mouse button until the disk ejects. 1. Disconnect the printer if your printer is connected to the USB port of your Mac. 2. Reconnect your wired network or Wi-Fi network. 3. Open a file you want to print > Click the File Menu > Choose Print > Choose your printer. If your printer doesn’t appear, choose Add Printer from the same menu. 1. Launch System Preferences, and select Printers & Scanners. 2. Right-click on the printer(s) in the Printers list, and then choose the option of “Reset Printing System”. 3. Add your printer(s) again once it finishes. If something goes wrong on you Mac, like drives not appearing, Bluetooth problems, AirPort non connecting etc. These aren’t problems that simple rebooting often fix. This means system and device settings need to be put back in place. Read my article on Resetting NVRAM and SMC. A number of users have some problems with the Notification Center, primarily El Capitan forgetting the preference settings after a reboot. Here are the solutions from Apple Support Community. 1. Right click Finder from Dock > Select Go to Folder > Input /System/Library/Frameworks/NotificationCenter.framework/ > Click Go > Locate the file named NotificationCenter > Drag this file to the desktop > Open the Terminal application. 3. Close the Terminal app > Restart your computer. 1. Stop automatic updates: Open System Preference on your Mac > Choose App Store > Uncheck the “Automatically check for updates” option. 2. Disable unused Location features: Go to your System Preferences > Security & Privacy panel > Privacy. You need to unlock the lock at the bottom left of the window. Now uncheck “Enable Location Services”. 3. Lower the screen brightness: On a portable computer, press the F1 key to decrease the brightness; on a desktop computer, press the F14 key to decrease the brightness. 4. Remove junk files on El Capitan: You will need a free & easy to use cleaning tool MacClean to clear out junk files from your Mac like Internet Junk, system junk, user junk, applications junk etc. If you want to speed up your Mac, read some of my tips from this article.